Lol, a little from column A, a little from column B. I've only seen a few episodes of Farscape, and that was a good number of years ago, but what I remember of it I enjoyed. I'm still trying to get my hands on Fallout 3, but everyone I know who owns it is reluctant to part with it. From what I've read, there's a lot of tension in the game. And yes, more Kate Beckinsale would be admirable, hehe. I was so glad when both Ben Browder and Claudia Black had short lived careers on SG1. Claudia Black was especially hilarious. My husband has had Starcraft 2 on pre-order for...three years now? Four? Yeah. I do like Farscape! I've been watching it on-demand on Netflix. Sadly I'm not into Farscape but I did go to Vegas 2 years ago, it was great experience. Looking at all the sights one see on TV. Enjoyed you "F" blog. look forward to tomorrow. checking out. Gaming, is big at my house; My son is into so many, I will have to see what he knows about this one! Thanks for the Farscape reminder. I recently joined Netflix and will place the series in my qeue. I love Vegas. Can fly there in less than an hour. Falen, Claudia Black was funny. I see her now and then in smaller movies. Good for you, Summer! And tell your husband, him and I both! Ellie, check it out on NetFlix - it's a hoot! Stephen, that's how I've been watching Farscape. That and every other sci-fi series out there! You know, I've never heard of either of those. Have heard of Firefly..Joss is Boss! Great post. I vaguely remember seeing some Farscape. I did like Firefly, Star Trek, and others. I'm not much for playing games - don't guess Spider Solitaire counts - even though my son is getting a degree in Game Design. Farscape was cool! It was odd sometimes, but I always watched the show. I was never really a Farscape fan... of course it came along after I stopped paying for cable. (Haven't had cable in a long, loooooong time.) 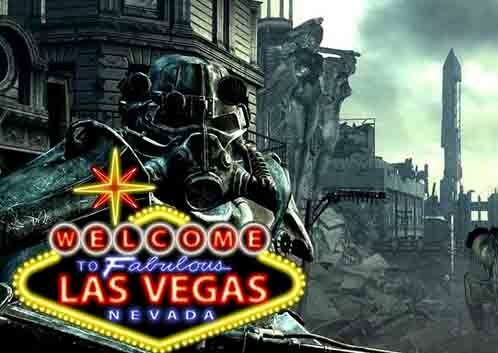 Haven't played Fallout either, but I have lots of gamer friends that would be VERY interested in this! Thanks for posting, Alex! Not to be sexist, but, photos are nice. Marvin, that word did come to mind when searching for a topic! Miller, your gamer friends will be excited. And Galen - tune in tomorow!! I've never played them, but as soon as my son's old enough, I'll look for them. I'm sure we'll all get into it! I'm not a gamer. But I did do international marketing for EverQuest. Does that count for something? Good choices for today's letter. I am not a gammer and don't know anything about it. But I liked learning something new by reading about your choices. OMG! I LOVE LOVE LOVE FARSCAPE!! It's one of my favorite shows of all time!!! Is this your first time watching it? Don't forget to watch the Peacekeeper Wars! I need to post about all of my favorite shows...next week perhaps...mmmm. Nicole, the game is definitely for older kids. Kirsten, I think that counts. How cool! Gregg, thanks for stopping today. Palin, that is awesome! And no, I watched the series when it was on TV. Recently started watching it again via NetFlix. The Peacekeeper Wars movies were great. 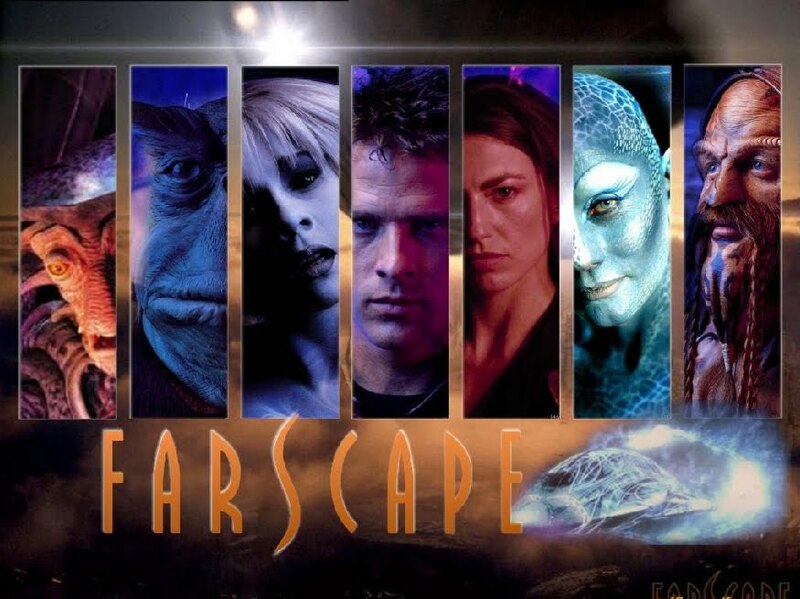 I'd forgotten all about Farscape - I loved the few episodes I saw - I'll have to search up some of those again one day! Farscape was an excellent series, one that I thought had more imagination and surprises in a single episode than a whole season of "Deep Space Nine" or "Enterprise." Because they weren't afraid to use puppets, they could really represent aliens that looked truly otherworldly and not just "Star Trek"'s bumpy forehead-alien of the week. Monkey, I still love the Star Trek episodes, but you're right about Farscape. And Henson never really got the credit he deserved for his muppet creations. They were all incredible.